The lovely Dalmatian islands are best experienced by bike, as you’ll discover on scenic rolls through charming stone-cut villages, past fragrant fields and pine groves, and along the spectacular coast. 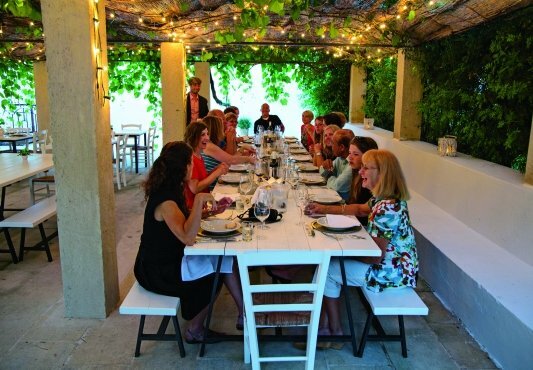 VBT’s unique itinerary also carries you into the heart of the Croatian lifestyle, as you dine with two families in their homes, visit a rare stone-cutting school, enjoy cooking demonstration, language lessons, sip Croatian wine and more. And balance your cycling time with ample opportunities to swim or simply relax and enjoy the amenities of our wonderful, hand-picked accommodations. 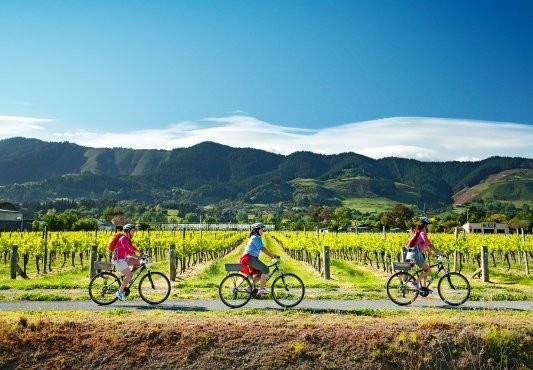 This tour offers a combination of rolling terrain and moderate-to-challenging hills and is ideal for energetic beginners to experienced cyclists. Our VBT support van is always available for those who would like it. Please be aware that there are multiple ferry rides to access the islands on this tour. Cycle along the harbor of Postira, a beautiful village nestled between ocean and hill, and embraced by centuries-old olive fields and pine groves. Enjoy views of the mainland across the water as you spin through quaint villages along a Brac Island coastal road. Visit one of the world's last remaining stonecutting schools. Learn a few essential phrases during a Croatian language lesson. 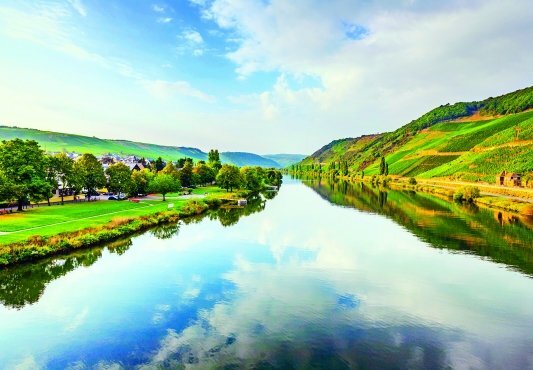 Connect with daily life in this stunningly beautiful region during two home-hosted meals. See how Brac Island settlements evolved from simple shepherds' homes. Take a dip in the Adriatic from Zlatni Rat, Croatia's most famous beach. Discover secrets of Croatian cuisine during a cooking demonstration. Visit a unique fortified church in the harbor town of Vrboska. 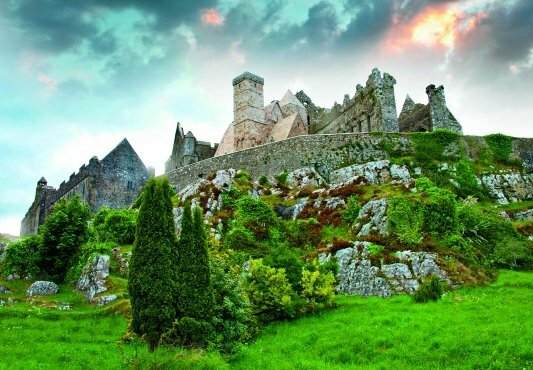 Breeze through verdant countrysides of rolling fields, stone villages and port towns. Depart from home for Croatia. The particulars of your arrival overseas are detailed with your flight itinerary. Upon arrival at the Split airport, claim your luggage and clear customs. Our local representative, who will be holding a VBT sign, meets you outside the customs area in your arrival terminal. On a tiny island behind medieval walls lies the Old Town of Trogir, just steps away from your hotel. Its streets form an intriguing maze, and Romanesque and Renaissance edifices wait around every corner. Masterful architecture and a magnificent cathedral have earned Trogir a place as a UNESCO World Heritage site. Outside the walls of the Old Town, you can stroll the seaside promenade, lined with cafés and luxurious yachts in the summer. VBT provides you with City Information that includes recommendations on what to see and do in Trogir during your stay. Meet your VBT Trip Leaders in the hotel lobby at 9:00 a.m. They will be wearing VBT staff garments. Please have your bags out for collection before 8:00 a.m. so they may be transferred to the ferry ahead of the group. The group will leave the hotel at 9:00 a.m. for the 45-minute drive to the Split pier for your ferry, which sails at 11:00 a.m. to the port of Supetar on the island of Brac. On arrival at the port of Supetar, minivans transfer your group to the village of Postira and the Hotel Pastura, your home for the next three nights. This welcoming, 4-star hotel’s location is convenient and quiet and features comfortable, air-conditioned rooms with balconies. A charming and quiet village, Postira dates to the 14th century. Located five miles from Supetar, Postira is nestled between ocean and hill, embraced by centuries-old olive fields and pine groves. One of this town’s most famous sites is the remains of a basilica in Lovrecina, a bay with a very beautiful sandy beach. After lunch on your own, join your Trip Leaders for a safety and bike-fitting session, followed by a short warm-up ride along Postira’s harbor and a loop to the picturesque village of Dol. In the early evening, transfer to the Village of Dol to a family owned castle for a welcome cocktail reception of homemade grappa on the quaint terrace, followed by a traditional Brac Island dinner. Later, return to the hotel and fall asleep to the lapping sounds of waves outside your room. This morning’s ride will bring you to Skrip. Skrip is the oldest settlement on the island and the source of the stone used at the stonecutter school we will see this afternoon. After your visit, the ride to Pucisca follows the quieter road along the scenic north coast and passing through simple villages bordered by fig and olive trees. You’ll enjoy views of the mainland across the water throughout our ride. Stop in the port town of Pucisca and visit the stonecutters’ school here. Brac’s world-renowned stone has been used in the construction of some the world’s most famous buildings, including Diocletian’s Palace in Split and the White House in Washington, D.C. This is a unique opportunity to see students’ work and learn about a near-forgotten craft at one of the world’s few remaining stonecutting schools. After lunch on your own, you may choose to shuttle back to the hotel or cycle back to Postira. Upon returning to the hotel, there’ll be free time to relax or walk to the beach. Just prior to dinner, your Trip Leaders provide an introduction to the Croatian language. Use your newfound skills tonight as you share a simple but authentic Croatian dinner in a local home. Connecting with your hosts during this event gives you a chance to witness daily life on this breathtaking island. After breakfast, shuttle to the highest point on the island, Vidova Gora. 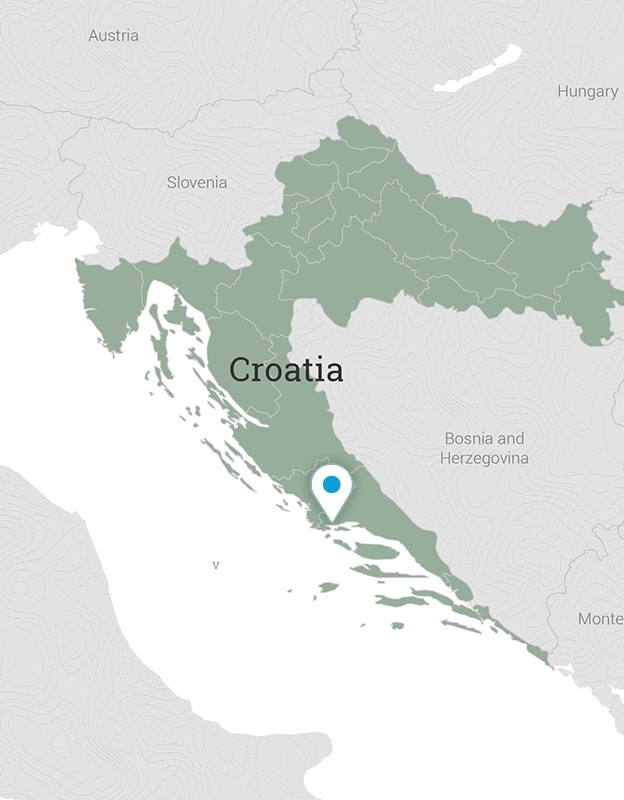 This lookout, known as the summit of the Adriatic, affords some breathtaking views. From here, enjoy more great scenery as you coast through the villages of Nerezisca and Lozisca. 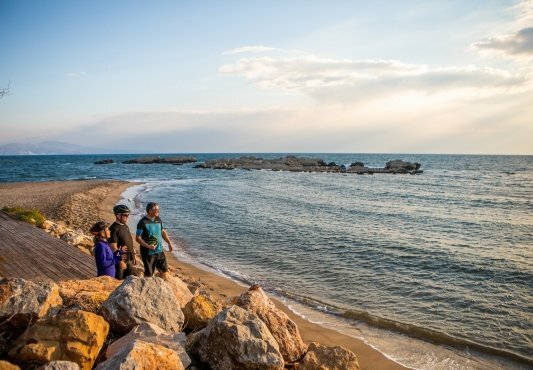 From Lozisca, ride a nine-mile loop down to the port of Milna, the most beautiful marina on the island. Stop here and relax for an included lunch at a local restaurant. Afterward, continue toward the port town of Sutivan and then along the coast back to your hotel in Postira via Supetar. Tonight, you may explore the typical Croatian restaurants in town. Your Trip Leaders can make recommendations. 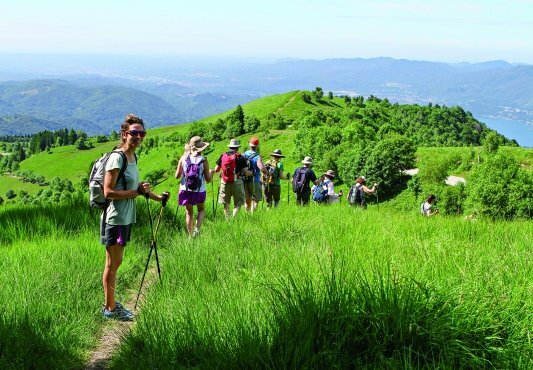 This morning, say goodbye to your hosts and transfer by coach across the top of the island to the base of Vidova Gora. From here, ride through easy terrain and the ancient medieval settlements of Praznica and Gornji Humac. These rustic island hamlets illustrate how the island’s towns and villages developed from separate homes, usually shepherds’ houses. Enjoy breathtaking views during your downhill roll to the beach of Zlatni Rat (meaning “Golden Horn”), the most famous beach in all of Croatia. This spit of land reaches out into the water with a gently sloping beach. Here, you can swim in the Adriatic’s crystal-clear water before lunch on your own in the adjacent town of Bol. Nearly 42 miles (67.5 km) long, seven miles (11 km) wide, and only three miles (5 km) at its narrowest point, Hvar is the most famous and seductive Adriatic island. Along with Bali, Zanzibar, Mykonos and Capri, Hvar has been called “one of the most beautiful islands in the world” by Condé Nast Traveler magazine. Its permanent population of 12,000 people clusters on the west of the island, adjacent to the most fertile and protected land. Your hotel’s central location affords the perfect vantage point from which to explore Hvar town, a medieval Croatian town with a strong Venetian influence dating to the 16th century. Visit the Arsenal, built in 1612 as the first municipal theater—Europe’s oldest and perhaps smallest. Its purpose was to bring the aristocratic and bourgeois classes together, and it stands as a symbol of reconciliation between social classes and of the abolition of privilege—despite that women were not admitted until the second half of the 19th century. Take in the expanse of Saint Stephen’s Square, the largest square of the Adriatic after Saint Mark’s in Venice. Tonight, walk to a nearby home for a delicious dinner. This festive dinner starts with a welcome toast and a tour of the home’s garden. Your hosts will teach you how to prepare some of the best local dishes during a group cooking demonstration. If rough weather makes it impossible for our small chartered ferry to operate, guests travel between Brac and Hvar on the large car ferries that operate via Split. This creates a longer travel day. The two ferry rides are separated by a two-hour visit to Split, where you can take a discovery walk and enjoy lunch on your own. After breakfast, you’ll ride past fields of poppies, rosemary, and lavender. The ride starts with a steady climb of about four miles (6.5 km) to the village of Brusje and rewards you with a sparsely inhabited and dramatic landscape crisscrossed by a seemingly endless number of stone walls. Views stretch across the sea to neighboring islands and the mainland. If you prefer, start the ride in Brusje and pedal to Stari Grad, finishing with a four-mile (6.5 km) downhill coast into this authentic Dalmatian town situated at the end of a narrow bay. Originally founded in the fourth century BC, the town features a main square that offers a number of options for lunch on your own. After lunch, enjoy additional time in Stari Grad, shuttle back to the hotel or continue biking. From Stari Grad, you will ride to Jelsa and climb toward Poljica into an even more remote environment, finishing with a two-mile (3 km) downhill ride to Velika Stiniva (“Big Cliff”), returning to Stari Grad. Board the VBT van for the shuttle back to your hotel. Back at the hotel, spend the afternoon exploring more of Hvar town or swimming at a neighboring beach. Dinner is on your own. Today’s ride, certain to be a highlight of your trip, is relatively flat. It carries you through verdant fields and quiet stone villages and alongside the narrow harbor between Vrboska and Jelsa. Your first destination is Vrboska, an adorable harbor town famous for its fortified church. Unique in Croatia, the structure resulted from a strange but urgent need for both the church and the secular citizenry to fortify their village from invaders. From here, you’ll skirt a fjord on a flat and scenic road, perhaps stopping at a small cove for a cooling dip (don’t forget your swimsuit!). End the morning with a picnic in the old fishing port of Jelsa, where you’ll see the well-maintained houses of local ship captains. Enjoy a refreshing dip here. Then, ride through the mountain village of Pitve. With its traditional stone houses, konobas (taverns) and terraced gardens, Pitve epitomizes the island towns of Croatia. Shuttle back to the hotel from Stari Grad in the late afternoon, or opt for a longer ride that brings you back through Brusje to Hvar. Tonight, enjoy a farewell dinner on the terrace of your hotel, overlooking Hvar. Transfer after breakfast by van and ferry to the port of Split, arriving around 1:15 p.m. (total travel time is approximately three hours). Your luggage will be transported separately, from the port you will walk approximately 20 minutes with one of our Trip Leaders to the hotel. Spend the rest of the day shopping, exploring, or relaxing in one of the city’s outdoor cafés. VBT provides you with City Information that includes recommendations on what to see and do in Split during your stay. After breakfast* this morning, you will transfer to the Split airport for your departing flight. Please ensure you are ready in the hotel reception area at the designated transfer time**. *Please note: For guests with early-morning departures, breakfast at the hotel may not be available. Please check with the front desk to verify the times that breakfast is served or request a boxed breakfast. 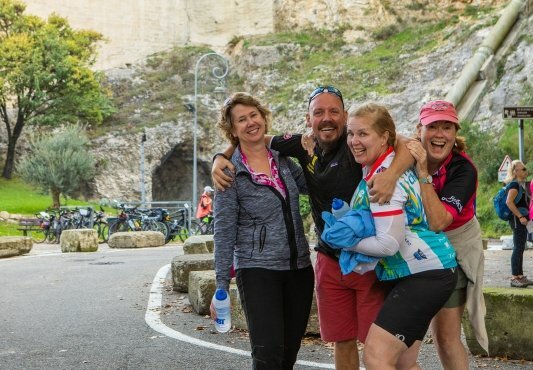 VBT Bicycle Vacation Only guests: Your VBT Trip Leaders and the rest of the group meet you at the VBT Hotel in Trogir; hotel information will be given in your final documents. If you are scheduled to arrive at the VBT hotel in Trogir later than 9:00 a.m. or if you are delayed, you must take a taxi, a ferry and then another taxi to Hotel Pastura in Postira on the island of Brac at your own expense. (The approximate cost is 30 euros/$39 USD; travel time approximately 2 hours.) Please contact Hotel Pastura (Telephone: +385 (0) 21 740 000) to advise the staff of any travel delays or changes, and they will alert your VBT Trip Leaders. 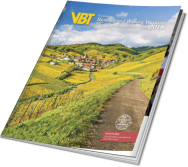 VBT Air Package and Pre-Trip Extension guests: Meet your VBT Trip Leaders in the hotel lobby at 9:00 a.m. They will be wearing VBT staff garments. Please have your bags out for collection before 8:00 a.m. so they may be transferred to the ferry ahead of the group. The group will leave the hotel at 9:00 a.m. for the 45-minute drive to the Split pier for your ferry, which sails at 11:00 a.m. to the port of Supetar on the island of Brac. Downtown Splits only luxury hotel is located near the ruins of the ancient Roman city—the emperors summer house and the Aqueduct. With a modern exterior, it is within walking distance of the charming historic center and Mediterranean port. Guest rooms are spacious and plush, with sleek contemporary decor. In addition to a fine dining restaurant and bar, also within the hotel are an indoor pool, sauna, fitness room, and onsite spa with a wide array of treatments. This 4-star hotel has 3 buildings with 50 rooms and is located right on Postira’s beach. Hotel facilities include a freshwater swimming pool, a full-service restaurant, a bar, and a café bar. Other amenities include an Internet desk, a fitness center, sauna, Jacuzzi, and massage. Rooms feature a balcony, air conditioning, satellite television, safe, and minibar. Once the palace of the great Ivanic family in the 16th century, the Hotel Park Hvar is situated in the heart of Hvar town. you will be treated royally in this 14-room boutique hotel. Thoroughly renovated in 2006, it is located between the former Rectors Palace and St. Marks church and is close to the beach. All guest rooms feature partial views of the harbor and the islands beyond, as well as air conditioning and a heated floor, minibar, safe, LCD satellite TV, free WiFi, and private bath with shower. While here, you can also take advantage of the restaurant, the bar/lounge, and the hotels uniquely tranquil and intimate ambiance. Hotel Trogir Palace is, quite simply, the most luxurious hotel in Trogir, offering excellent service in a comfortable atmosphere. Located just 656 feet (200 meters) from the citys medieval center—a UNESCO World Heritage Site—this family-run boutique hotel also has a terrace that lets you view the historic treasure of Trogir from afar. Savor delicious Dalmatian specialties in the hotel restaurant, and retire to an air-conditioned room that also features a minibar, direct-dial telephone, safe, LCD TV with satellite and radio programs, and bathroom with tub. Free WiFi is available throughout the hotel. Upon arrival at the airport, a VBT representative meets you and helps you transfer to your centrally located hotel. This evening enjoy dinner at the hotel’s terrace restaurant or explore Dubrovnik and its ancient walled city overlooking the Adriatic. Although this is an independent extension with no VBT Trip Leader, VBT does provide you with City Information that includes recommendations on what to see and do in Dubrovnik during your stay. The day is yours to explore all that has made this city the new darling of southern Europe. Stroll Dubrovnik’s Stradun (the Old City’s main thoroughfare), take a guided walk atop the fortress wall, or enjoy a refreshing swim at the beach near your hotel. Explore more of this world-class city on your own today. 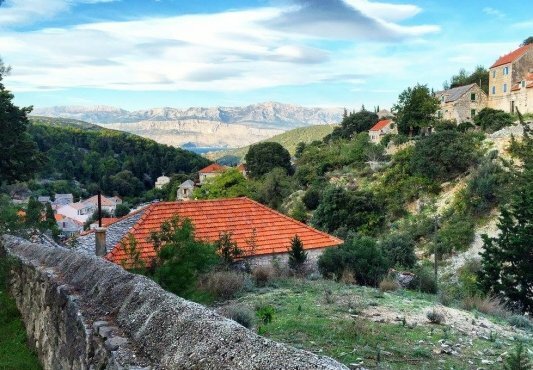 You may want to explore Cavtat and Konavle Valley on an optional tour at your own expense or simply enjoy another day of independent exploration of Dubrovnik.. 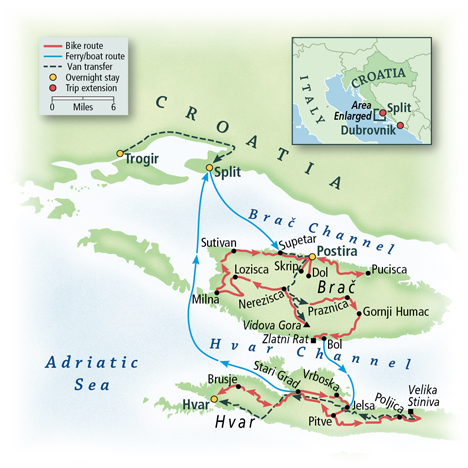 This morning, your VBT representative meets you and helps you transfer up the coast to Trogir. (You’ll receive your transfer time upon arrival at your Dubrovnik hotel.) This journey by coach takes approximately 4 ½ hours. Ensure you have your passport available, as you will pass through the neighboring country of Bosnia and Herzegovina. Now a modern port city, Split boasts an Old Town center that retains its historic charm. The center grew up around the Emperor Diocletian’s vast palace, which remains one of the largest and best-preserved examples of palatial architecture from the Roman period. Visit the medieval Brace Radica Square in the southwest corner of the palace: its tall Marina Tower, built by the Venetians in the second half of the 15th century, is all that remains of the imposing castle. When you’re ready for a rest, head to Split’s Riva promenade to sip coffee, grab an ice cream and enjoy the view. Today is yours to further explore Split or take a day trip to one of many Dalmatian Islands such as Korcula, thought to be the birthplace of Marco Polo. You may also opt to visit Plitvice Lakes National Park, which was granted UNESCO World Heritage status in 1979. The beauty of the park lies in its 16 lakes, inter-connected by a series of waterfalls and set in deep woodland. After breakfast*, transfer to the Split airport for your departing flight. Please ensure you are ready in the hotel reception area at the designated transfer time**.